The American Library Association (ALA ) hosted a summit to explore the ways in which libraries are building digitally inclusive communities to support citizens’ digital empowerment. The American Library Association (ALA) conducted a survey to find out how libraries managed the evolution of advancements in technology. 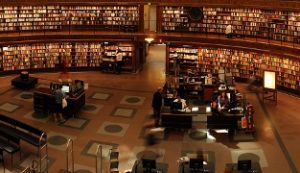 It was revealed that the majority of US libraries already provide digital information, and services and have well established digital programs. Currently, they are also using technology to facilitate online activities, such as job searching or attending online courses. Libraries in the US have already enabled patrons to use e-readers, tablets, spaces for “makers”. Unfortunately, due to insufficient bandwidth, the situation is more complex for libraries in rural areas. Despite significant investments made by the BTOP (the Broadband Technology Opportunity Program), the average broadband connection speed for libraries in areas like Idaho has only increased to 12.8 Mbps, much less than the national average of 57.4 Mbps. Although costly, the best way to improve the bandwidth in libraries in rural areas of the US is by getting the government and the FCC to settle a deal with broadband providers to lower the connectivity prices at libraries. Wi-Fi plays an important role in shaping the libraries’ ability to create “digitally inclusive communities” (in other words: communities that are able to create social and economic opportunities, thanks to technology). The availability of a free, easy-to-use wireless connection is a basic requirement for libraries to provide any sort of digital service, digital content offerings on different devices (e-readers, laptops, tablets) etc. According to the Digital Inclusion Survey, virtually 98% of libraries in the US offer free public Wi-Fi with a high-speed wireless broadband connection. In addition, the ALA survey revealed that 90% of libraries are training their staff to increase their IT skills. Furthermore, 76% of respondents revealed that they think libraries should offer educational programs to strengthen citizens’ digital skills and advance their application-specific knowledge to meet today’s digital challenges.